“The weave is wide, the weaver is narrow. Mona Schwind was the second of three children born to Leo and Cornelia (Camp) Schwind. She entered the world on September 6, 1936 in Merrill, Michigan. Mona attended Sacred Heart School in Merrill except for her sophomore year during which she was an aspirant at Marywood Academy. She returned to Sacred Heart School in Merrill for her junior and senior years, where she graduated as class valedictorian. Sister Mona earned a B.A. (1960) from Aquinas College and later an M.A. in History at the University of Notre Dame. She also studied at the University of Edinburgh, Scotland. After serving as assistant professor of history at Aquinas College, Sister Mona joined the ranks of the college administration as Assistant to the Academic Vice President in 1974. In this role she was a valuable member who planned commencements, served on numerous committees, facilitated the Awards program, the Ireland Overseas Program, the publication of the college catalog, and much more. Of her many talents, Sister Barbara Hansen wrote, “the list goes on and on of details and projects she handled with grace and brilliance.” Sister Barbara remarked that Mona always saw things in a new light, was a catalyst for many innovations, could synthesize and integrate materials to make new dreams possible. Through her gifted writing, often with witty, always enlightening touches, she made her mark, often in a behind the scenes role. That “turn of the phrase” so admired by Sister Mona was her particular gift to the community and to the world. For writing was her passion. It sustained her in good times and through the dry seasons of her life. Untold numbers of articles, speeches, summaries, and letters ghost-written by Sister Mona added clarity and spirit to the missives of administrators, prioresses, councilors and others through the years. Sister Mona also wrote and published poetry and two books: Period Pieces: An Account of the Grand Rapids Dominicans 1853 – 1966, in 1991, and In God’s Own Time, a history of St. Francis DeSales Parish in Muskegon, in 1997. Her book Period Pieces along with the archival holdings organized so carefully continue to be sources of all things historical about the congregational story. Sister Mona was also instrumental in translating from the Latin, the rites and rituals of the congregation for the post Vatican II era. As well, her patient genius helped bring to completion the composition and final Vatican approval of the Constitution and Statutes which received approbation in 1990. Sister Mona is survived by her brothers Don (Margaret) Schwind of Beaverton, MI and Paul (Jean) Schwind of Cheboygan, MI; nieces and nephews, many friends and members of her Dominican community. 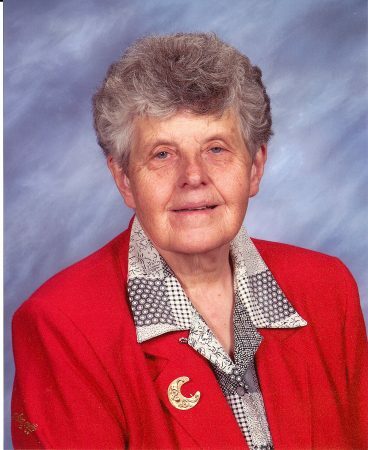 Entered eternal life on January 14, 2013 at the age of 76 after 57 years of religious life. A book of selected poems by Sister Mona Schwind was published posthumously. The poems within celebrate Ireland, friendship, and the journey of the spirit. Copies of the book are available for purchase in the Dominican Center Marywood Bookstore.